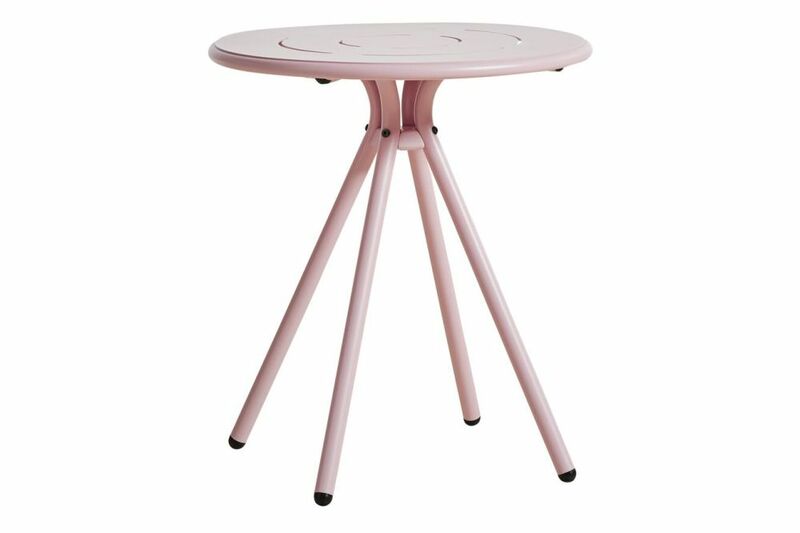 A modern and lightweight series of outdoor furniture in distinctive colours. Designed to be left outside with its matt and resistant powder coated surface. Aluminium covered in Jotun primer with a layer of powder coating. All items in the Ray series has passed corrosion and salt spray tests. Combining the lightness of aluminium with the comfort of soft shapes, makes Ray easy to place into a wide range of public and private scenarios. Whether in a café, restaurant, terrace, garden or balcony, Ray remain ideal for any outdoor space. With the oblong grooves in the seat and backrest, Ray allows rays of the sun to shine through creating beautiful shadows on the ground beneath. The elegant details adds lightness and coherence to the design as the detail recurs in all items in the series. More so, the grooves make Ray ideal for surviving outside as they allow wind to pass through and rain to drain. Together with our design team we have developed a universe where each product has its own place and reason for existence.